This document serves as a set of guidelines to inform decision making within File2Cart service as well as a guide for community members to better understand the support services provided by File2Cart service. The document is limited in scope since it sets official policy for providing help through the Support Center. By setting down these policies and channeling requests for help through the Support Center we hope to provide better service, have an accurate profile of user needs, and demonstrate the appropriate level of staff needed to handle the volume of requests. NOTE: File2Cart does not guarantee proper import of custom data/fields or data handles by third-party modules/contributions. File2Cart supports default database schemes. The Support Center (http://support.magneticone.com) acts as a central point of contact for all technical support, including service questions, data import interruptions, data import support service package, requests, and troubleshooting. Customers may submit tickets online at (http://support.magneticone.com), contact Support Center via live chat, send an e-mail at contact [at] file2cart [dot] com or at support [at] file2cart [dot] com. Additionally, you can submit feature requests and ideas at Public Feedback Service (http://filet2cart.betaeasy.com). Due to staffing limitations live chat support may not be immediately available at all times. NOTE: We don't provide IM support and do not call back. Public Feedback Service questions have lower priority comparing to email tickets, thus replies may take longer than 24 hours. Requests can be submitted online (http://support.magneticone.com) or by e-mail at contact [at] file2cart [dot] com or support [at] file2cart [dot] com 24 hours a day. NOTE: According to the acting Labour Code of Ukraine, in case of a national holiday or a non-working day coincides with a day-off, the day-off shall be extended to the next consecutive day after a national holiday or a non-working day. Additional days off will be announced in the news section of the Support Center. Users should explore help that is readily available at File2Cart website before contacting the Support Center. This help might come from the FAQs (http://www.file2cart.com/faq) or Public Feedback Service (http://file2cart.betaeasy.com/). NOTE: If one of the points mentioned above is not met, Support Staff will contact you (up to 3 replies) to clarify the issue. If no relevant solution is received (no required action is taken) by user, the ticket is considered closed. File2Cart reserves the right to completely stop the support if the issuer uses abusive language or statements. Support Service Packages - professional data import service provided by File2Cart support engineers to save your time, minimize risks and ensure data safety. It outlines the necessary actions maintained for your current and new stores and Data Import according to our Terms of Service. Support Service is provided in four packages: Basic, Extended, Premium and Ultimate Support Services. 1. If the quantity of items you import exceeds the limits of the Support Service Package you selected, the payment for the rest will be charged additionally. 2. 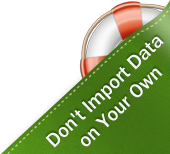 Each Support Service Package includes only one data import. This document will change over time as circumstances warrant and therefore it is a work in progress. Questions and comments are welcome.